Did you know that as a child prodigy, Stevie Wonder signed with a Motown record label at the age of 11? That after the death of Count Basie, the Pontiac, Michigan native Thaddeus Jones took over the leadership of the legendary Count Basie Orchestra? That students majoring in engineering, chemistry, forestry and business currently also perform in a wind ensemble and take classes in music composition at Michigan Tech? 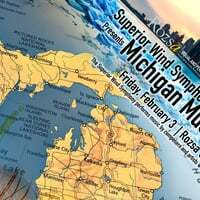 The Rozsa Center for the Performing Arts and Department of Visual and Performing Arts are proud to present the Superior Wind Symphony in a concert titled “Michigan Music.” The performance will be led by Michigan Tech’s Director of Bands, Michael Christianson, at 7:30 p.m. Friday (Feb. 3) in the Rozsa Center. Michigan Composers featured will be Pulitzer Prize winner William Bolcom; Grammy Winner Stevie Wonder; Thad Jones; Warren Benson; George Kenny; and the Keweenaw Bay Indian Community. Tickets for “Michigan Music” are on sale now, $13 for adults, $5 for youth and no charge for Michigan Tech students with the Experience Tech fee. Tickets are available by phone at 7-2073, online, in person at the Central Ticketing Office or at the Rozsa Box Office the evening of the performance. Please note the Rozsa Box Office only opens two hours prior to performances. “Backstage at the Rozsa” again opens its doors to the groovin’ sounds of small-combo jazz to celebrate the 50th year of jazz studies at Michigan Tech. There will be three student ensembles: Jaztec, Momentum with a combination of funk and fusion; AstroSax; and one special guest ensemble: The Dan Fuhrmann and Tim Havens Duo, here for their second guest appearance at Michigan Tech. The Rozsa stage will become a pop-up jazz club, and the intimate atmosphere is a perfect setting for some funk and fusion and even some standards from these four ensembles. 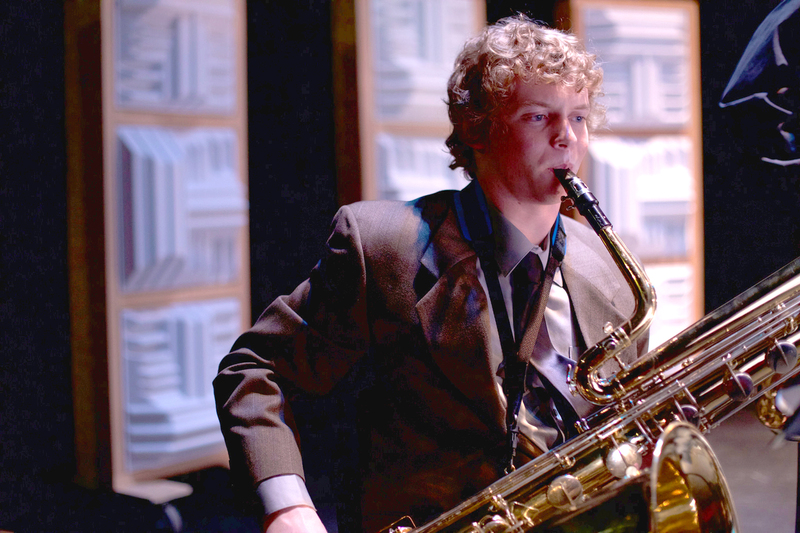 Join Jazz Studies Program Director Mike Irish and the Michigan Tech Jazz ensembles who bring to life the great sounds from throughout the years. Hot and steamy to cool and mellow. Join us in Club Rozsa and enjoy the intimate atmosphere reminiscent of the birthplace of jazz. Backstage at the Rozsa is at 7:30 p.m. Friday and Saturday (Jan. 27/28). Tickets for Backstage Jazz at the Rozsa are on sale now, $13 for adults, $5 for youth and no charge for Michigan Tech students with the Experience Tech fee. Tickets are available at 7-2073, online, in person at the Central Ticketing Office or at the Rozsa Box Office the evening of the performance. (Note the Rozsa Box Office only opens two hours prior to performances). Unable to make the performance? You can Listen Live starting at 7:30pm. 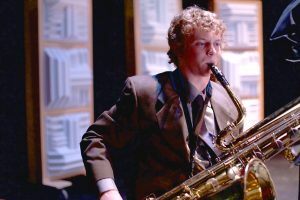 The Bay City Public Schools Spotlight newsletter featured the Michigan Tech Jazz Lab Band’s “Jazz: No Drugs, No Guns” performance at Western High School. 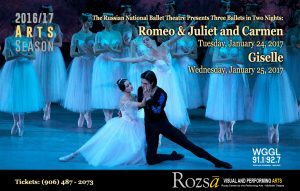 The Rozsa Center for the Performing Arts presents two magical nights of incomparable Russian ballet. Direct from Moscow, the Russian National Ballet Theatre, featuring fifty of Russia’s finest dancers, will perform three timeless ballet pieces, “Romeo and Juliet” and “Carmen” on Tuesday, Jan. 24 and “Giselle” on Wednesday, Jan. 25. Shows start at 7:30 p.m. each evening. 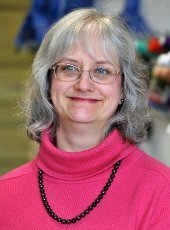 In the second act they will perform “Carmen,” a full-length ballet also in one act. Music by Rodion Shchedrin based on the classic opera by Georges Bizet with choreography by Alberto Alonso. Carmen, a passionate, free-spirited woman, is caught in a love triangle between Don José and a bullfighter. The impetus and cause for the creation of the ballet Carmen was the cherished dream of the celebrated Russian ballerina Maya Plisetskaya to depict the highly strung and riveting character of Carmen in a ballet. On the second evening, the Russian National Ballet Theatre performs the full-length, tragic ballet “Giselle,” about a peasant girl who dies of a broken heart after discovering her lover is betrothed to another. “Giselle” was composed by Adolphe Adam, and is a romantic jewel of Petipa. “Giselle” was first seen in Moscow in 1843, just two years after its creation in Paris, and a year after it was staged in St. Petersburg. 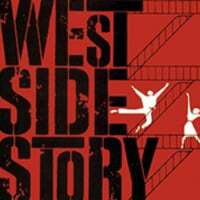 The Tech Theatre Company will hold auditions for “West Side Story” next week. Auditions for singing, dancing and chorus roles will be held from 7 to 10 p.m. Monday (Jan. 16) and Wednesday (Jan. 18) in Rozsa 120 (choir room). Auditions for non-singing roles is 7-10 p.m. Tuesday (Jan. 17) in Rozsa 120. To be assigned an audition slot, you must fill out a registration form. You may sing a song from the show, or from another similar style production. Limit your selection to three minutes. An accompanist will be provided. If you sing something other than West Side Story, bring a copy of your music for the accompanist. Wear comfortable clothes for dancing. You will sweat. If you have character shoes, bring them, otherwise sneakers are appropriate. Callbacks will be Thursday (Jan. 19). A callback list will be sent out via email to all who auditioned following the Wednesday evening auditions.